Barcelona is one of Europe’s most popular cities for visitors, and one of our favourite cities too. There’s loads to see and do, from the incredible architecture of Anton Gaudí, through to museums, UNESCO world heritage sites, markets, delicious tapas – and even a beach. As you might imagine, it is not hard to fill your time when visiting Barcelona, even with three full days to play with. We’ve visited multiple times, and are always coming across new sites and things to do. You should be aware that Barcelona is a fairly big city, with a number of fairly distinct areas. It does have a good public transport system, but obviously you want to spend more of your time sightseeing and less of your time on a bus or metro. With that in mind, I’ve put together what I think is a good overview of some of the city’s main sights that will help you spend three days in Barcelona. I’ve ordered the sights for each day by a logical order of how you might want to visit them and also put those sights first that you should visit earlier in the day before the crowds arrive, where possible. Barcelona is very popular with visitors, and especially in the summer months attractions can become very crowded, so booking ahead where possible and turning up early are the key to a frustration free trip. You might also want to consider looking into the Barcelona City Pass, Barcelona Pass or Barcelona Card for your visit. These offer free and discounted admission, as well as skip the line access, travel options and various other perks that might make your visit easier. For each attraction, I’ve highlighted which pass is best, and there’s a section on both of them towards the end of the post. Jess has also written a comprehensive review and guide to using the Barcelona Pass, as well as a comparison of the main discount passes available in Barcelona, which are both worth a read. Of course, an itinerary like this should just be a starting point for your plans, and at the end I’ve also added some optional sights that you might want to add in. You could also extend this itinerary over some more days if you want to really take your time. Now, let’s take a look at our idea of the perfect way to spend 3 days in Barcelona. The first day of our exploration focuses on the city centre of Barcelona, and everything here is easily walkable. It covers some of the more famous works by Anton Gaudí, plus one of the cities most famous streets. Certainly one of the most famous of Gaudí’s houses in Barcelona, Casa Batlló is also one of the most popular, so we definitely recommend you put this at the beginning of your day. Even from the outside this property is intriguing, with the famous balconies on the buildings façade, which are reminiscent of Venetian masks. 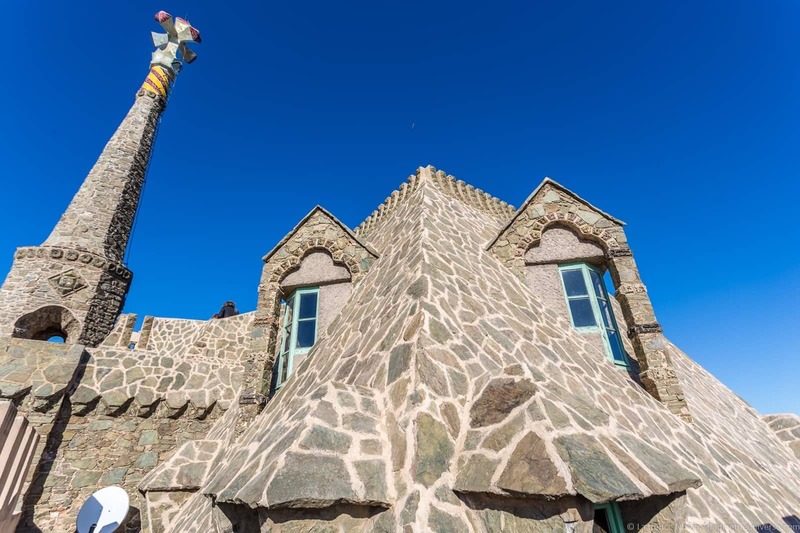 Inside, there’s a stunning spine-like staircase and organic-feeling rooms which you can explore at your leisure before emerging onto the incredible roof terrace which is shaped to represent a dragon – one of Gaudí’s favourite icons. As already mentioned, this is a popular spot. You can skip the ticket line by booking tickets in advance. Casa Batlló is also included on the Barcelona Pass, giving you free entry to this, and many other attractions on the itinerary. Alternatively, you can get discounted admission with a Barcelona Card if you buy your ticket on the door, or by booking in advance if you have a Barcelona City Pass. Casa Milá, also known as La Pedrera, is a short walk from Casa Batlló, and is another of Gaudí’s houses in Barcelona – the last of his major civil works. This one also has a famous façade, this time of undulating limestone, the stone-like look which earned it the nickname “La Pedrera”, which means the Quarry. This façade is self-supporting, freeing up the rest of the building from requiring load-bearing walls. As soon as you enter the building, it will intrigue you. From the ground floor courtyard looking up there’s an incredible view of the inside of the building, with light pouring in from the roof to the interior apartments. As you go up the floors, you’ll explore some of the apartments that are open to the public, as well as the magnificent brick-ribbed loft space. The highlight for many though is the roof terrace area, with its famous chimney’s, skylights, and stairways. From here there are excellent views across the city, including to some of Gaudí’s other works, most notably the Sagrada Familia. Casa Milá is also a popular stop for visitors. It’s a good place to use the Barcelona Pass, which has skip the line access to Casa Mila, meaning you don’t need to queue to get in here. Again, you can get discounted admission with a Barcelona Card if you buy your ticket on the door or by booking in advance when you buy your Barcelona City Pass. Time for a spot of walking, and maybe all this sight-seeing has you hungry? 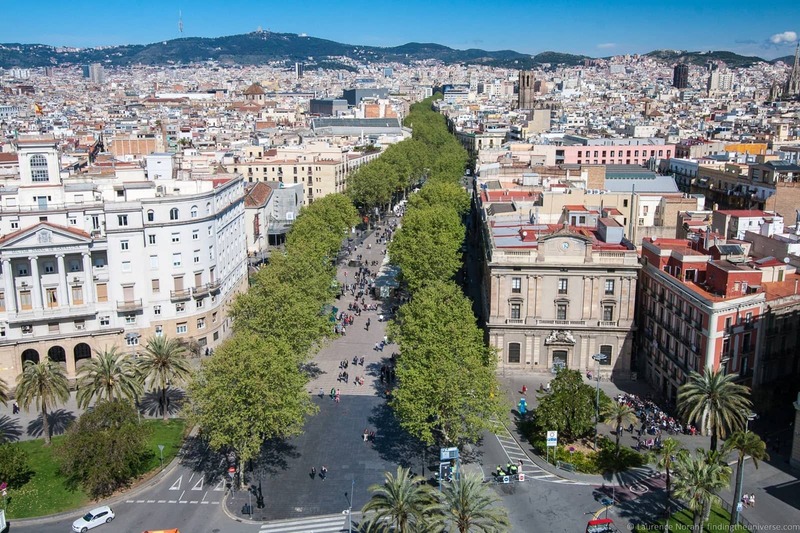 Why not head past Plaça de Catalunya, and onto one of the cities most famous streets for a stroll – Las Ramblas. Take a drink from the fountain at the northern end of the street, which will guarantee you’ll return to the city. Then, head down the street for a spot of people watching and a wide range of outdoor dining options. Sure, they might not be the cheapest or most “authentic” options, but hey, you can get a pitcher of Sangria and watch the world go by, and what’s wrong with that? About half way down Las Ramblas you’ll come to La Boqueria, the city’s oldest and most famous market. This used to be just outside the old city wall, and has always been famous as the market that would have the items you couldn’t find elsewhere. Today, the market is still popular with locals and visitors alike, and still has the reputation for having one of the widest choices of the city markets, with everything from meat and fish through to fruit, sweets and even food stalls. It’s a good place to get a freshly squeezed fruit juice, to have a snack or just to admire the 19th century Modernista design, which is certainly worth the visit alone. From Palau Güell, I suggest you continue your journey south along Las Ramblas until you get to the end, where you’ll be greeted by the sight of a large column, atop which sits a statue of Christopher Columbus, the famous Italian explorer largely responsible for opening up the Americas to European exploration. This was a venture he achieved under the sponsorship of the Spanish monarchs at the time, and the statue commemorates his first voyage to the Americas. Originally built for the Barcelona Universal Exposition in 1888, today the statue serves as both monument and tourist attraction, with the bonus that you can head up inside it for good views of the southern side of the city, including along the port and an excellent aerial view up Las Ramblas. There’s an entry fee to the monument. Tickets can be bought online, or in person. You get a discount if you have in a Barcelona Card and if you book in advance if you have a Barcelona City Pass. 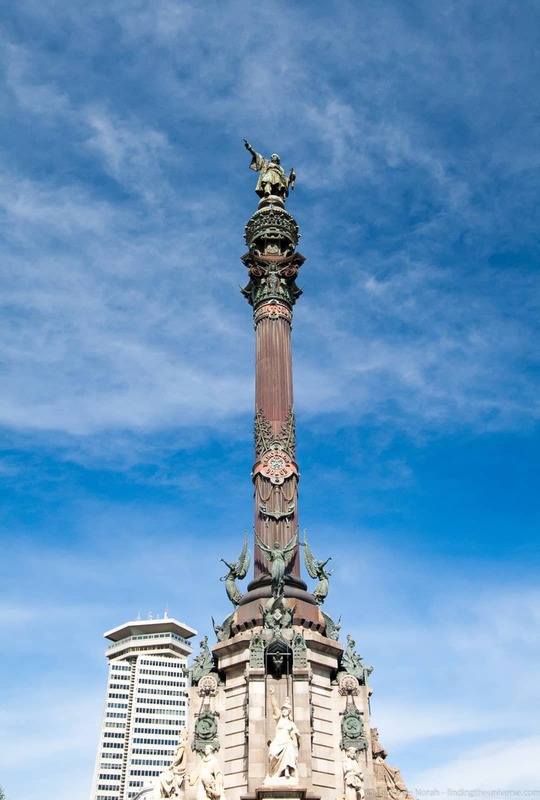 At the end of Las Ramblas where you find the Columbus Monument is the marina area of Barcelona. So far the day has involved a fair bit of walking, so this might be a good opportunity to rest and let the scenery float by, perhaps accompanied by a coffee or something stronger. 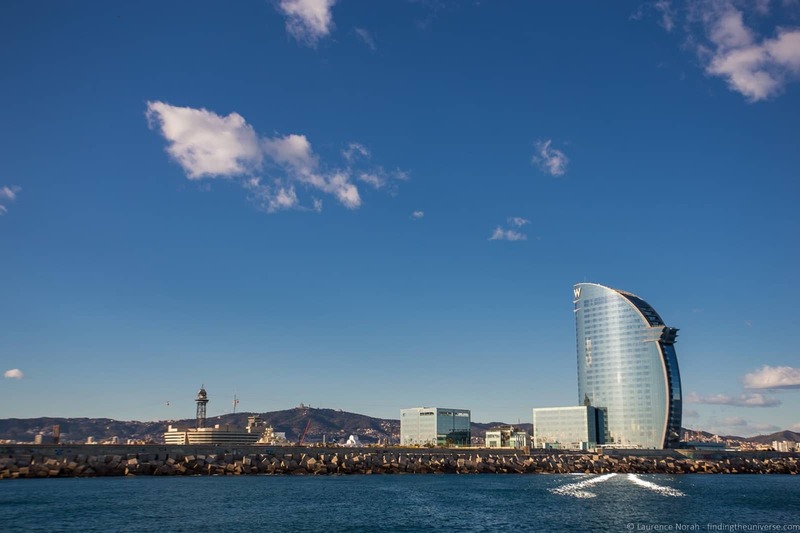 From the port area, a number of operators offer boat tours of varying length which will give you a different perspective of Barcelona harbour. We took the 90 minute boat tour with Las Golondrinas, which is included for free with the Barcelona Pass (discounted for holders of the Barcelona Card or Barcelona City Pass). There are a number of operators though with different tour lengths and routes, depending on what you want to see. If a boat ride isn’t for you, or you want to keep exploring once the ride is finished, there are a couple of great options at this end of town. 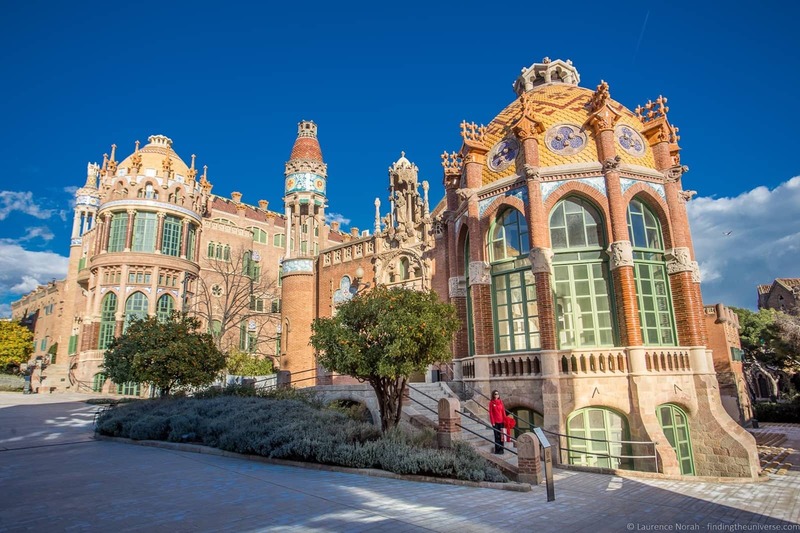 Depending on your interests, you could visit the Barcelona Aquarium or the Catalonia History Museum (the former is free with the Barcelona Pass and both are discounted with the Barcelona Card & Barcelona City Pass). We’ve been to both, the former is an excellent Aquarium and a good option for families. 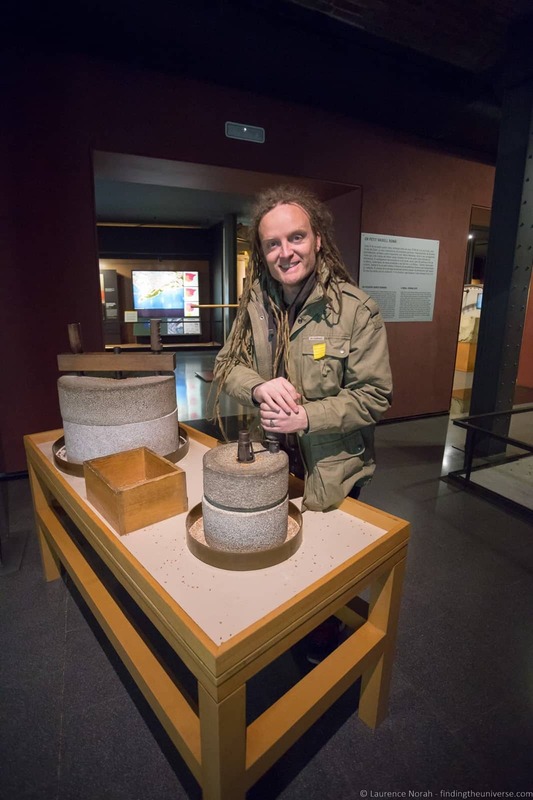 The Catalonia History Museum will take you through the full history of the region and its people, from prehistory right up to the modern day. It’s a fascinating insight into the region, and will keep you occupied for some time. And that’s the end of a full first day in Barcelona! Time for an evening drink and some food, before we kick off our second day of our three day Barcelona itinerary. Without a doubt Gaudí’s masterpiece, this massive basilica was the work that Gaudí was labouring over when he tragically died. Construction started in 1882, although by the time of Gaudí’s death in 1926 it was still less than a quarter finished. At time of writing, it’s still not complete. This doesn’t mean you can’t visit though. Despite this being an active construction zone, the majority of building is open to the public. It’s another popular stop, so again we suggest you pencil this in as the first stop of the day – perhaps taking in sunrise from the park over the road, before heading in. Entry is timed, and tickets sell out well in advance, so you will definitely want to buy your ticket online in advance and pick a time slot that suits you. Note that as of 2019, tickets for entry prior to 2pm are a little more expensive, but do include an audioguide, which is well worth it. Again, as it gets later in the day the building gets more crowded, so we definitely recommend visiting earlier in the day if you can. There’s also the option to take a guided tour of the cathedral. Holders of the Barcelona Card get a discount on tickets, however to our knowledge this can only be redeemed when purchasing tickets in person, not online. 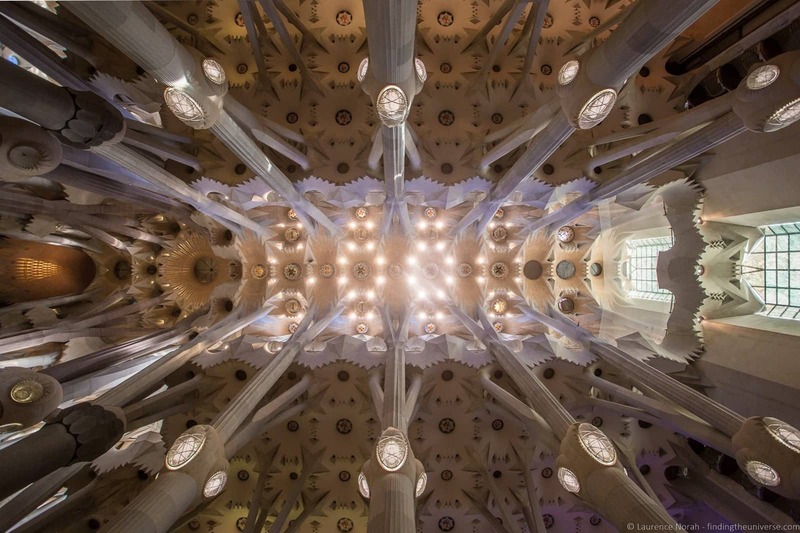 The Barcelona City Pass includes the Sagrada Familia, and lets you book your entrance time online before you go, however they currently only include the tickets for after 2pm. If you would prefer to save a little money, you might want to reorder this itinerary and visit the Sagrada Familia after 2pm, and start with Park Guell instead. See more on discount passes in Barcelona in the section on saving money in Barcelona below. 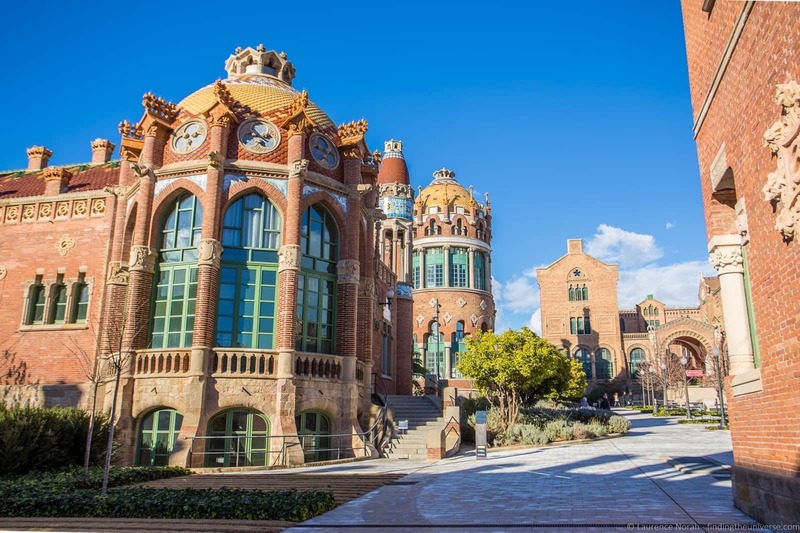 A relatively new opening to Barcelona visitors, the Recinte Modernista Sant Pau is quickly becoming one of Barcelona’s more popular attractions. Originally built as a hospital, this series of buildings is one of the finest examples of Art Nouveau architecture in Europe, and has been awarded UNESCO world heritage status alongside the Palau de la Musica Catalana in the Gothic Quarter. You can explore this complex and go inside a number of the buildings. 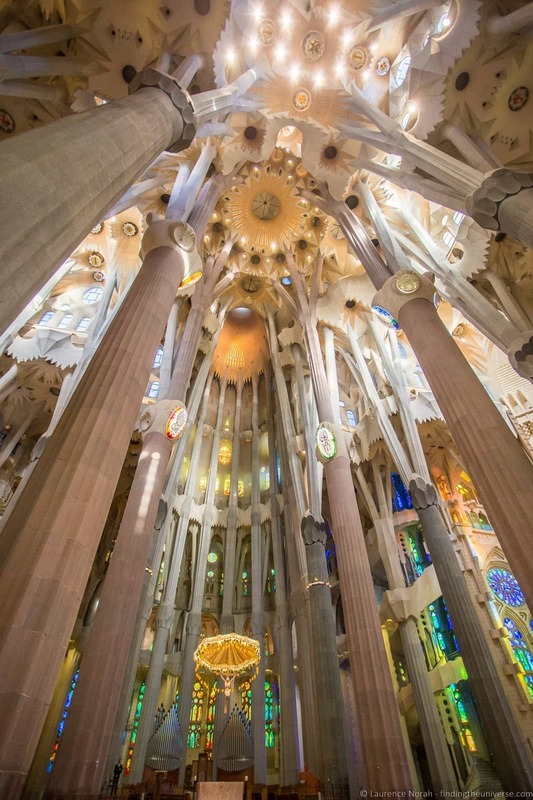 It’s just a stunningly beautiful place to walk around and experience, both inside and outside, and is only a 15 – 20 minute walk from the Sagrada Familia. Well worth doing. Free to Barcelona Pass holders, discounted admission for Barcelona Card holders. Next on our itinerary is a trip up towards Park Güell. 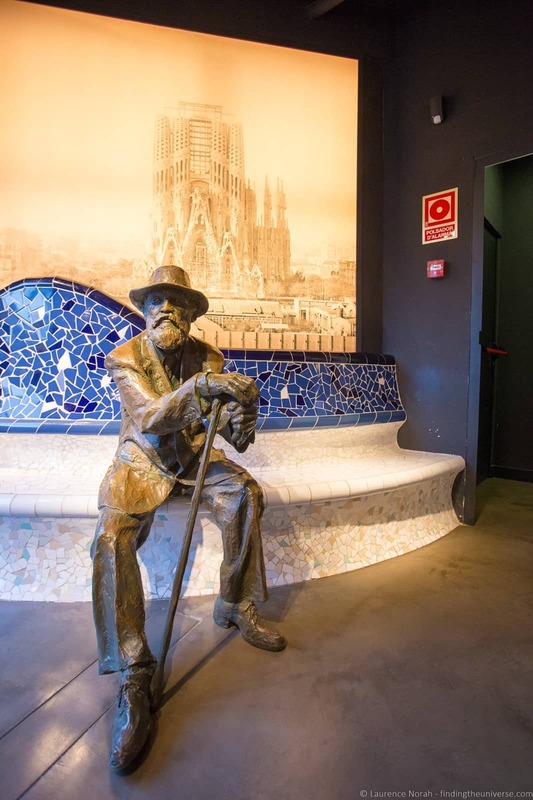 On the way, we suggest you might want to pop into the Gaudí experience, an interactive exhibition that will take you through the life and works of the architect responsible for so many of Barcelona’s sights. There’s an overview of some of his most notable works, as well as a 4D cinema. Free with the Barcelona Pass. Situated on the hills towards the north of the city, Park Güell is another of Gaudí’s works. This is a little bit different though, being as it is a large park area with a number of installations to explore and visit. Originally planned as a housing development of upper class properties offering spectacular views, the vision of sixty homes was never realised, with only two actually completed. However, many of the features envisioned by Gaudí for the public spaces were created, including the entrance houses, main terrace area, mosaic serpentine bench, and colonnaded footpaths. There is also a house museum you can visit on site which was Gaudí’s home for the last twenty years of his life. This has a separate entry fee, but if you are interested in seeing how he lived, is worth the visit. Park Güell used to be free to visit, but its overwhelming popularity led to a ticketing system being put in place. This has timed entrances, helping to keep the park more pleasant for everyone to visit. You can visit parts of the park without a ticket, but the key attractions, known as the Monumental Zone, do require a ticket. 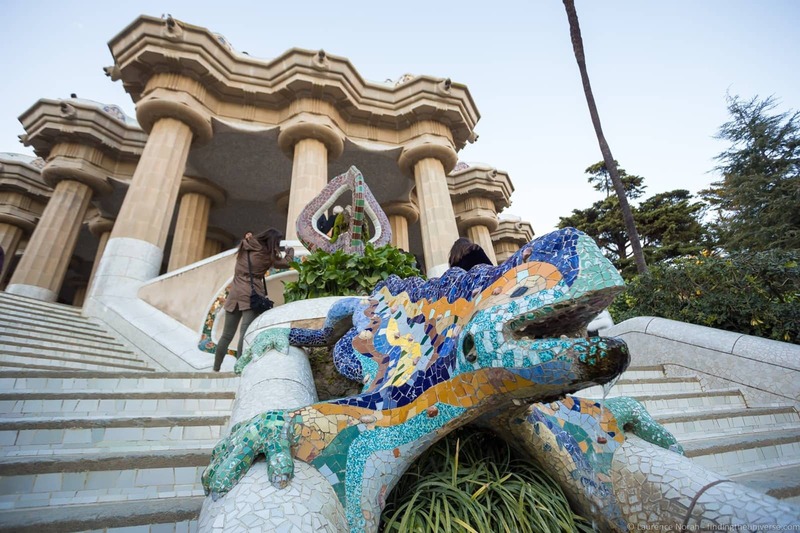 We advise booking tickets for Park Güell online in advance to be sure you are not disappointed or have to wait when you arrive. If you do this, be sure you arrive at the entry time specified on the ticket as otherwise you won’t be able to get in. Holders of the Barcelona City Pass can also pre-book their timed entry to Parc Guell online, and entry is also included as part of this card. If you don’t want to invest in one of these passes but still want to visit both Park Güell and the Sagrada Familia, you might consider a Gaudi bundle, which includes pre-booked timed entry to both attractions, as well as an audioguide that covers both attractions. As mentioned above, the Gaudi Bundle only includes entry after 2pm to the Sagrada Familia, so if you choose this option you will need to adjust today’s itinerary so the Sagrada Familia is near the end – I’d suggest just going through it in reverse, and starting with Park Guell. And that sums up our second day of exploration in Barcelona! It might seem that there’s not so much on this day, but the attractions will take you a while to visit, and you will have to factor in transit times between them, so we’d suggest not trying to add too much more to today in case you run out of time. What better way to start the day than with chocolate? And given that your entry ticket to Barcelona’s chocolate museum is actually a real bar of chocolate, you can’t fail to be happy when you visit. When you do, you’ll learn all about the history of one of the world’s favourite treats, including how it came to be so popular in Europe, how it is made, and some of the culture that grew up around it. Barcelona was one of the major ports for chocolate to arrive into Europe, and it played a key role in the economy of the city. Also fun are the many chocolate statues and displays made of chocolate. Definitely a fun way to start a full day of exploration in Barcelona! This one is free for Barcelona Card holders. From the Chocolate Museum you’re going to head deep into the warren of narrow streets that is the Gothic Quarter. 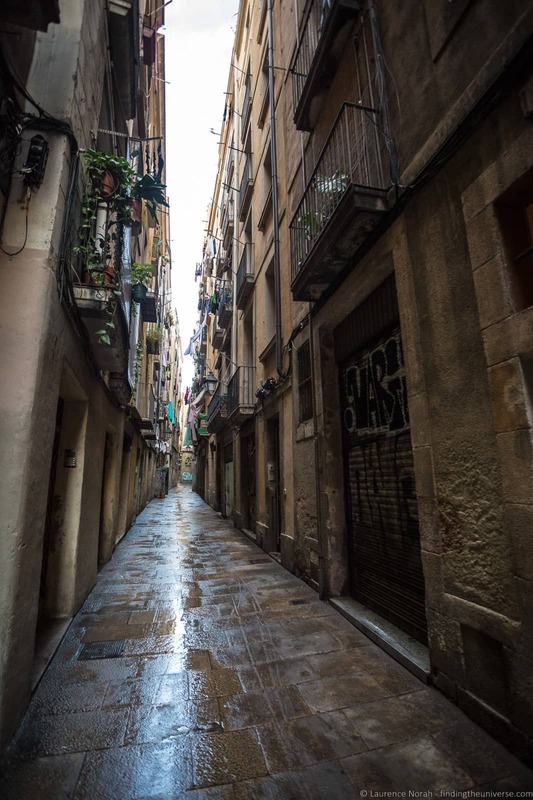 This is the oldest part of the city, and is where some of the highlights of Barcelona are tucked away. I’d definitely recommend having a paper map handy when you start to explore – the high buildings and narrow streets mean GPS signals can get easily confused. Whilst wandering the Gothic Quarter is an experience of itself, there are a number of attractions within that you should check out. First of these, coming from the Chocolate Museum, is the excellent Picasso Museum, which celebrates the early part of the artists life and work, as well as housing some of his later work. A must for fans. From here, you can also visit the UNESCO world heritage listed Palau de la Musica Catalana. You’ll need to take a guided tour, and you can book tickets for this online, or buy them in person at the box office. If you have a Barcelona Card, it’s good for a 20% discount on the tour price, but only when purchasing tickets in person. A good option is also to visit the Palau de la Musica for a performance. You can see all the upcoming performances and book tickets for them here. 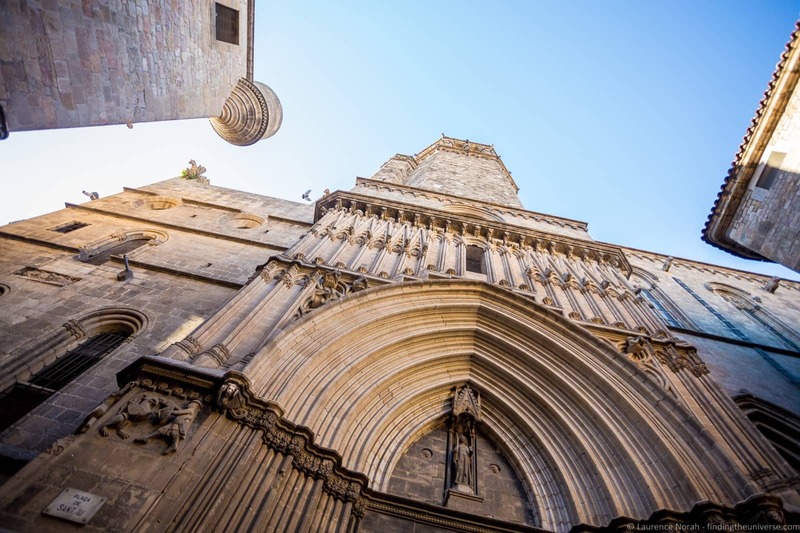 Heading further west in the Gothic Quarter, you’ll find yourself at Barcelona’s massive gothic Cathedral. This is free to enter, and worth popping into. 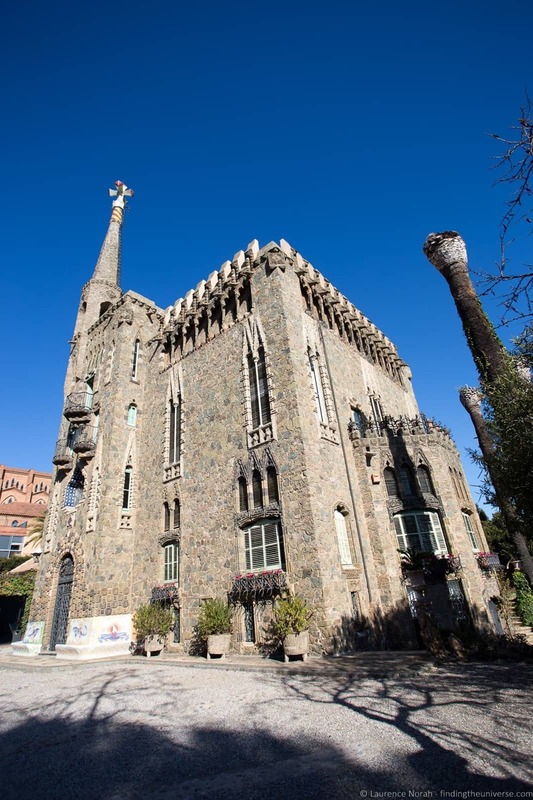 Next to it is the Gaudí Exhibition Centre, the first museum entirely dedicated to the works of Anton Gaudí. You can learn all about the architect and his architecture through images, models, audio-visuals and documents, and it’s a fascinating journey through his work. This one has free entry with a Barcelona Pass, and discounted admission with a Barcelona Card. We’re now going to head up Montjuïc Hill, which has a number of attractions atop it. Depending on your interests and how much time you have, you will probably want to pick a few of these rather than try to rush around all of them. First on my list is the large fortress atop the hill, Montjuïc Castle. 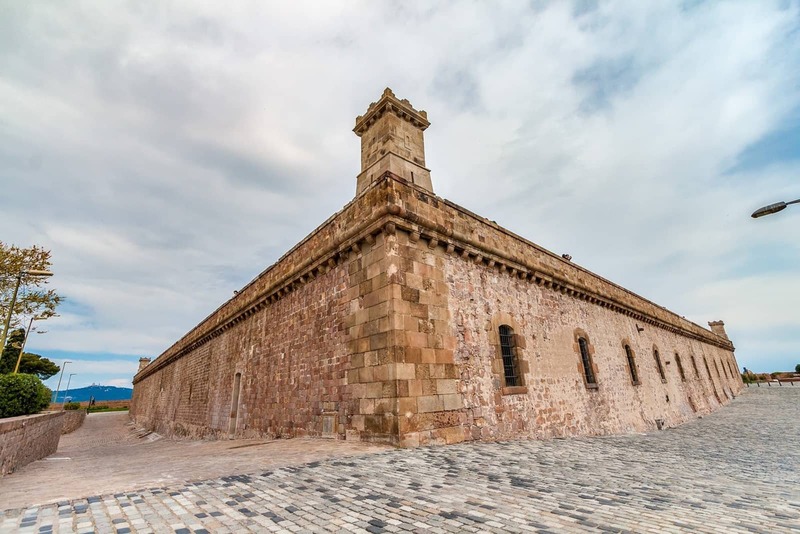 This huge fortress has played a key role in the history of the city over the last few hundred years, serving as a Spanish control over the potentially unruly Catalan city, as well as a prison and execution centre. Today the castle is open to visitors and you can wander the huge walls, take in the views across the city skyline, and think back to darker times. There’s an entry free, although it’s free to visit on Sunday afternoons. 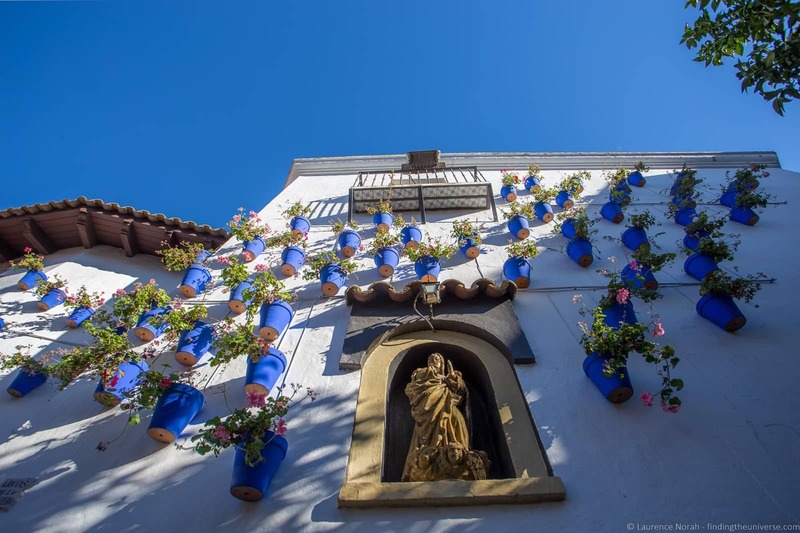 If you’re interested in learning about the different regions of Spain, and in particular their architecture and food, then a visit to Poble Espanyol should be on your list. This is a huge open air architectural museum, built in 1929, which consists of 117 full-size buildings representing fifteen different regions of Spain, many of which are replicas of actual buildings. It’s also home to local artists, restaurants and shops, and you can see everything from glass blowing to jewellery making. Again, you could spend a few hours just wandering around here as there is a lot to see and do. It also regularly hosts concerts, gastronomic festivals and other events. Fans of Barcelona-born Joan Miró will definitely want to stop in at the Joan Miró Foundation on Montjuïc Hill. 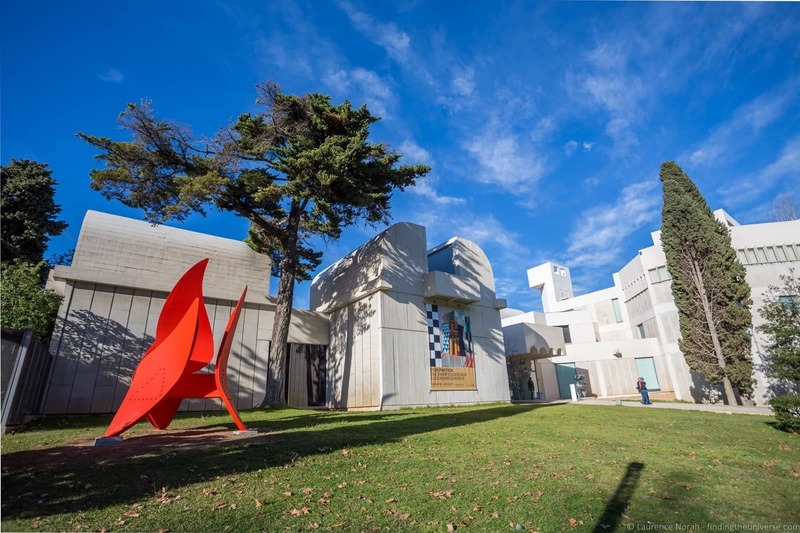 Created by the artist himself with the aim of promoting the work of young experimental artists, the museum displays a large number of Miró’s creations, stretching throughout his career. The purpose built building is also an impressive and logically laid out structure, that will guide you through the artist’s works. There’s also a library on site which is home to Miró’s book collection. There’s an entry fee, Barcelona City Pass holders get discounted admission. 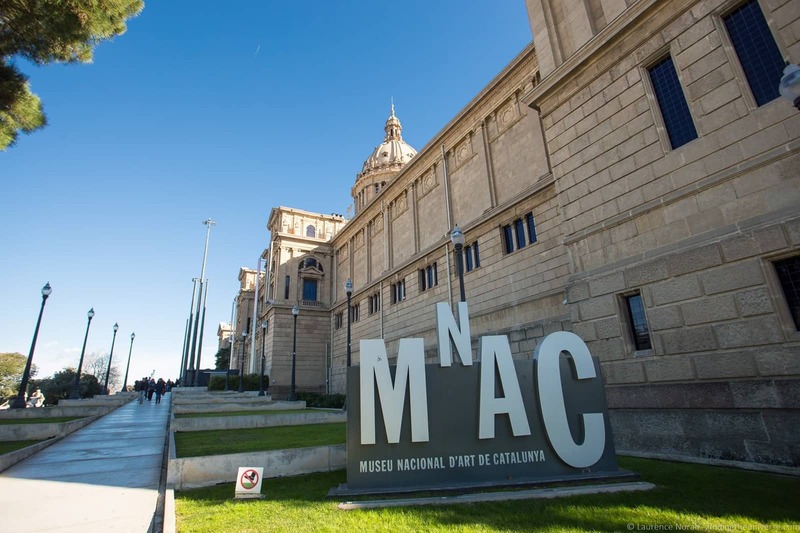 An imposing building with a spectacular view over the city, the National Museum of Catalan Art (MNAC) is a must-visit for anyone with an interest in the art of the Catalonia region. It has art of various styles from across the centuries, including an impressive collection of romanesque church paintings. The building itself is also quite spectacular, in particular the Oval Hall, a massive event space which houses one of Europe’s largest organs. You can also take the lift to the top floor to wander on the roof, which offers excellent views of the city. The last entry on our final day of our three day Barcelona itinerary is the Magic Fountain, which you can see from the steps in front of the National Museum of Catalan Art. This fountains runs a spectacular sound and light show in the evenings which is a real treat to watch as the water displays synchronise with the sound and light. 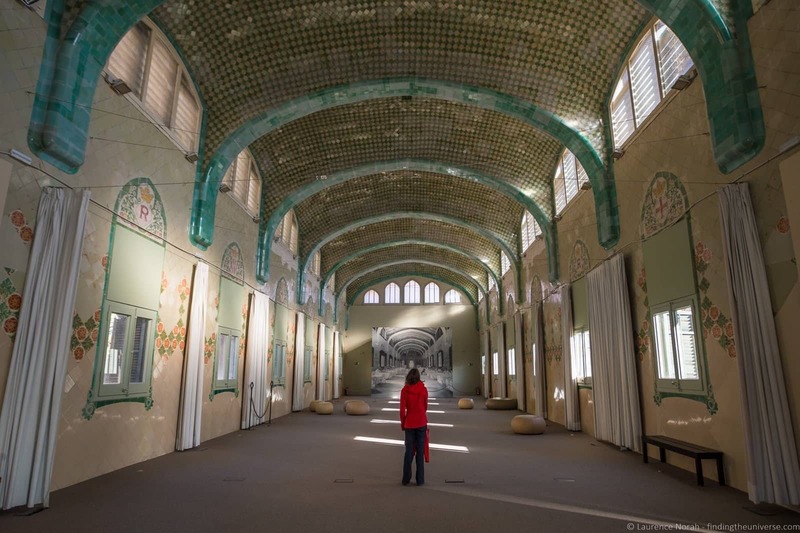 Built in 1929 for the International Exhibition, and restored for the 1992 Barcelona Olympic games, this is definitely one you won’t want to miss. The schedule depends on the time of year – you can see it here. There’s a lot to see in Barcelona beyond the above, and I wanted to highlight a few of our favourite spots. 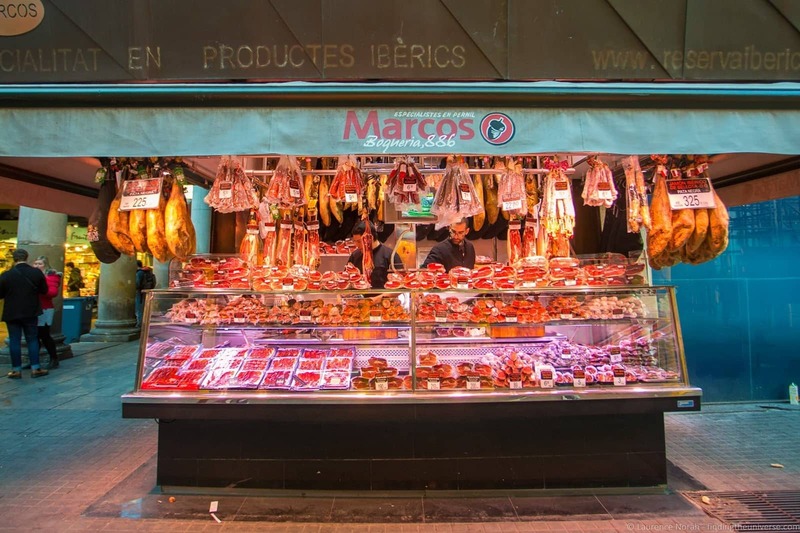 If you have a bit more time in Barcelona, or simply want to swap a few things around in the itinerary, the below items should definitely be in your list. If you buy a Barcelona Pass, you’ll find it comes with both a free walking tour of Barcelona and a free bike tour of Barcelona. We took advantage of the free walking tour, and chose a three hour tour around the highlights of the Gothic Quarter and Las Ramblas. This was an excellent way to learn a bit about the history of the city and see some of the main attractions with a local. If you do a tour like this, we’d suggest scheduling it early on in your trip as it will help orientate you to the city – plus you can ask your guide for tips and advice on things like local restaurants, bars and nightlife. 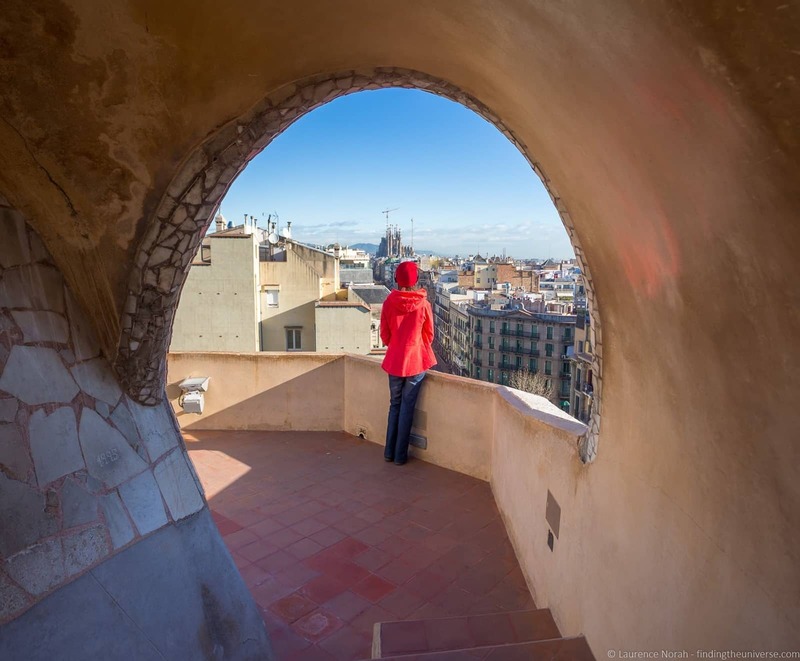 Just off Las Ramblas you’ll find the Palau Güell, one of the earlier works by Gaudí in the city, and one where you can see many of his architectural visions coming into focus. This is strikingly obvious as soon as you see the building from the outside, with its hugely impressive twin front doors in Gaudí’s famous parabolic arch shape. These were designed to be large enough to accommodate a horse drawn carriage, with one door being for entering the building, and the other for exiting. Once inside you’ll have the opportunity to see many of the rooms inside, including the central hall and the bedrooms, and of course, the roof terrace. This latter place is a popular spot to see the sunset, depending on when you visit. Fans of FC Barcelona will probably have a visit to Camp Nou right at the top of their list. 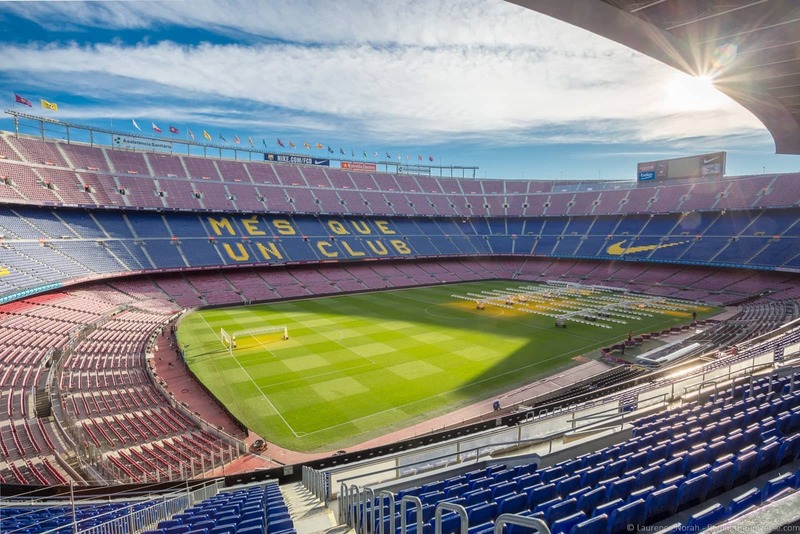 This is the home of Barcelona’s hugely successful football team, and during the day you can take a tour of the stadium to get a behind the scenes look at everything from the VIP suites to the players locker rooms. You can even sit in the seats the coach sits in during the game! There’s also a well laid out museum which takes you through the history of the club, its impact on the city, and some of its notable players and achievements. Jess and I actually really enjoyed this visit, despite neither of us being huge football fans. If you do decide to visit, we definitely advise coming early as it gets very popular. You’ll also want to check match times as obviously you can’t take a tour when the stadium is in use. Although fans may want to also catch a game here. Camp Nou is free for holders of the Barcelona Pass, and there is a small discount for holders of the Barcelona Card. 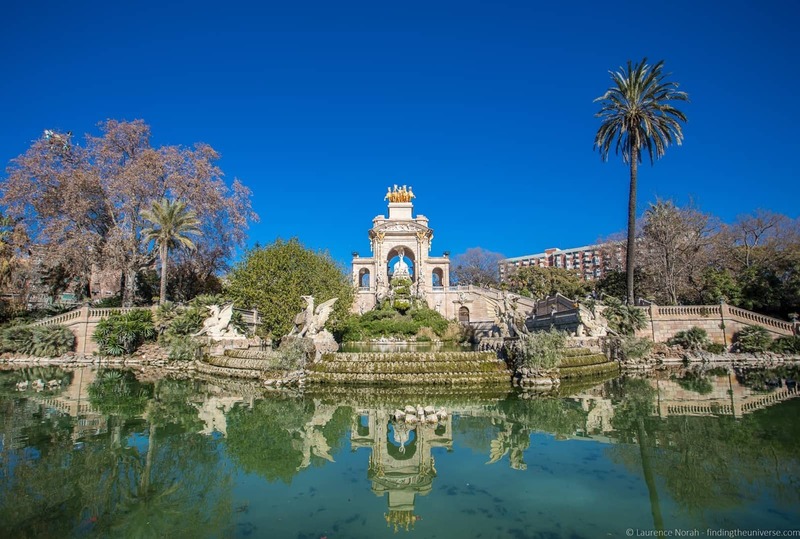 If you would like to visit a city centre park, a good option is the Citadel Park, or Parc de la Ciutadella, which isn’t too far from the Chocolate Museum. Dating from the 19th century, and the earliest green space in the city, this 70-acre park has plenty of green space – perfect for a picnic, or to grab a breather from all your exploring. Its best known feature is likely the large water feature, which was one of the earlier works in the city that Gaudí was involved with, although he wasn’t well known at the time and his involvement was fairly minimal. It’s a grand construction, topped with giant golden horse drawn chariots, and is worth seeing. Entry is free. 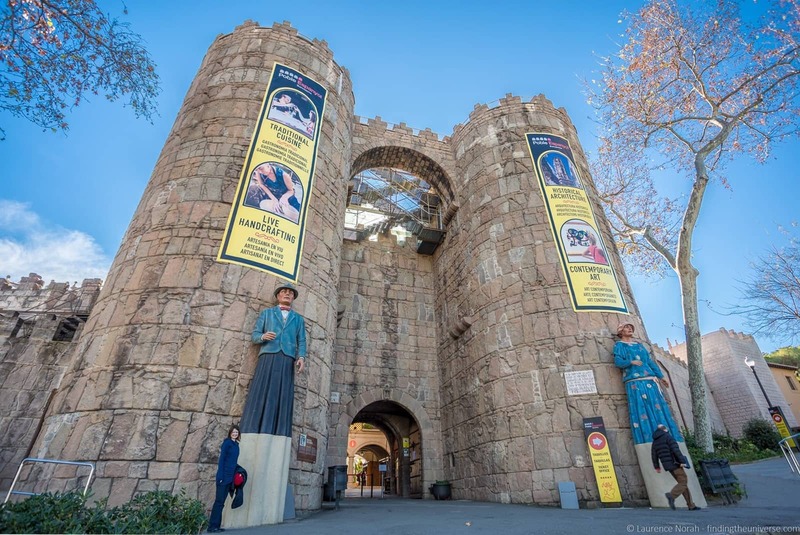 A little way north of the city centre, Torre Bellesguard is a relatively recent addition to the works of Gaudí that you can visit in the city. Built for a private owner between 1900 and 1909, the home is still occupied by a private owner, so only certain parts of the property can be visited, although this does include the spectacular attic and roof areas which were the highlights in my mind. 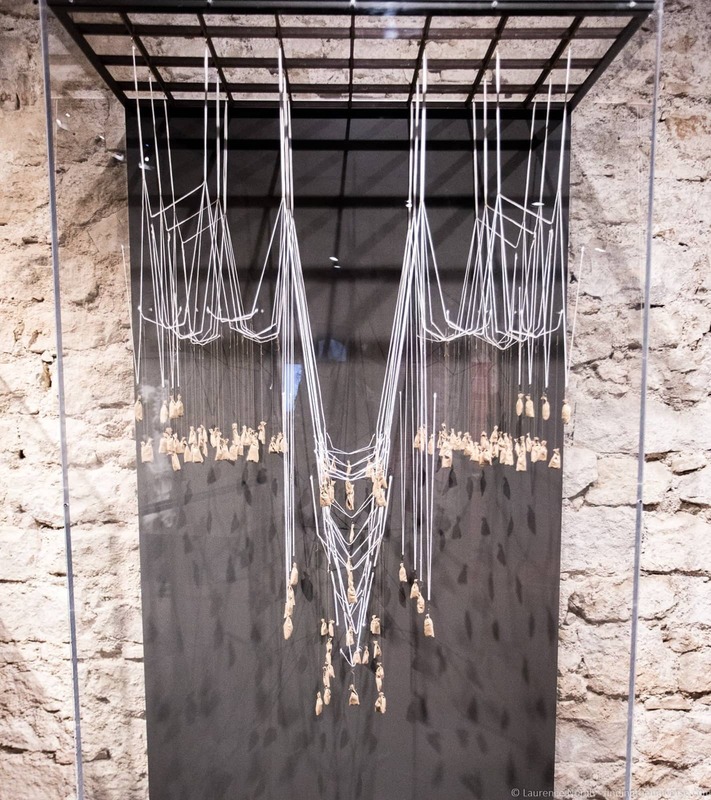 I would suggest that this is well worth doing – this is a much less popular attraction than many of the other Gaudí properties, and you will have a bit more room to breathe. 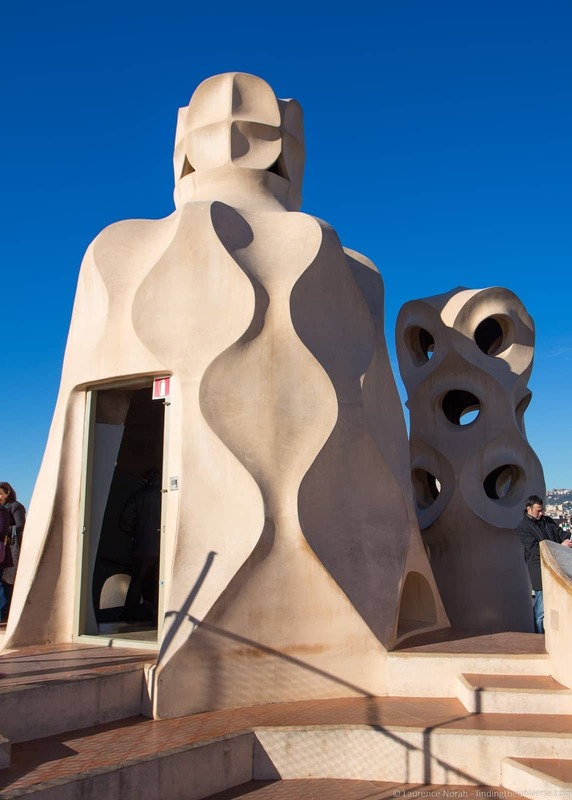 I particularly enjoyed visiting the roof terrace, which has spectacular views over the city, with the bonus that the whole roof is designed to look like a dragon. Guided tours currently run on weekends, and there are also audio guided tours available. See times and languages on the official site here. 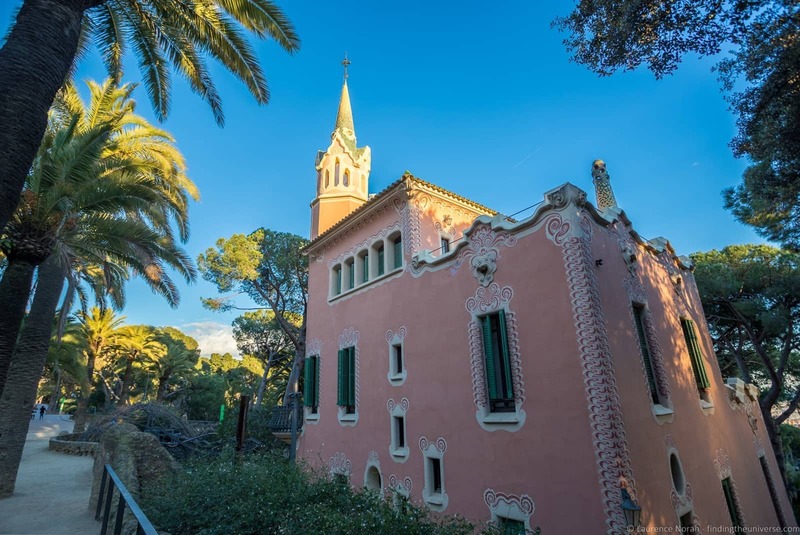 Colonia Güell is 23 kilometres from the city centre of Barcelona, but can still be reached by public transport, so don’t let the distance put you off. It’s a purpose built 19th century industrial village, which you can explore with the help of an audioguide. 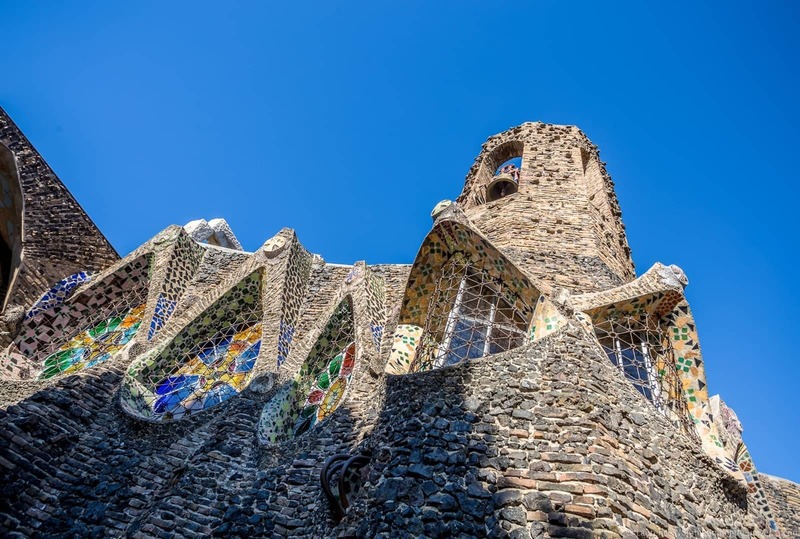 The village is definitely worth exploring, but the highlight of a visit to Colonia Güell is the church known as Gaudí’s Crypt. Whilst the final vision was never completed, this building was the place where Gaudí first incorporated all of his architectural innovations, and it serves very much as a blueprint for much of the Sagrada Familia. The only part of the church to be completed was the crypt area, although this feels more like a church than a crypt, with a full nave, altar and pews. It’s a truly unique creation, and as it requires a bit more effort to get here than say the Sagrada Familia, is a lot less crowded – we actually had the whole Crypt to ourselves for large parts of our visit. Entry is free with the Barcelona Pass, and you get the audioguide as part of your entry too. The Barcelona Card gives discounted admission. As you’ll have seen throughout this post, Barcelona has a number of options for saving money when visiting attractions in Barcelona. 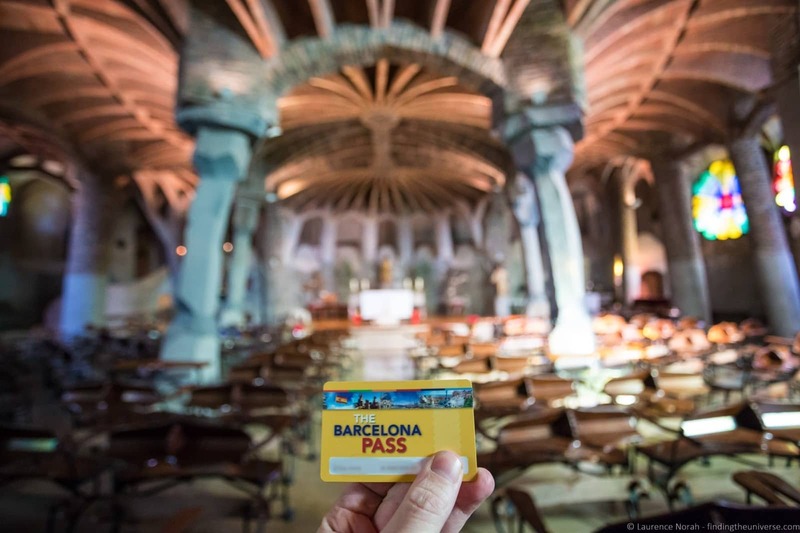 The three main ones that we recommend visitors look at are the Barcelona City Pass, the Barcelona Card, and the Barcelona Pass. These work a little differently, and depending on what you want to visit, you might find one works better for you than the other. If you plan to visit everything on the main itinerary above, the Barcelona Pass is a must. The combined price of the attractions which are included in the above Barcelona itinerary that are covered by the Barcelona Pass at time of writing is over €180, and a three day pass is only €149. 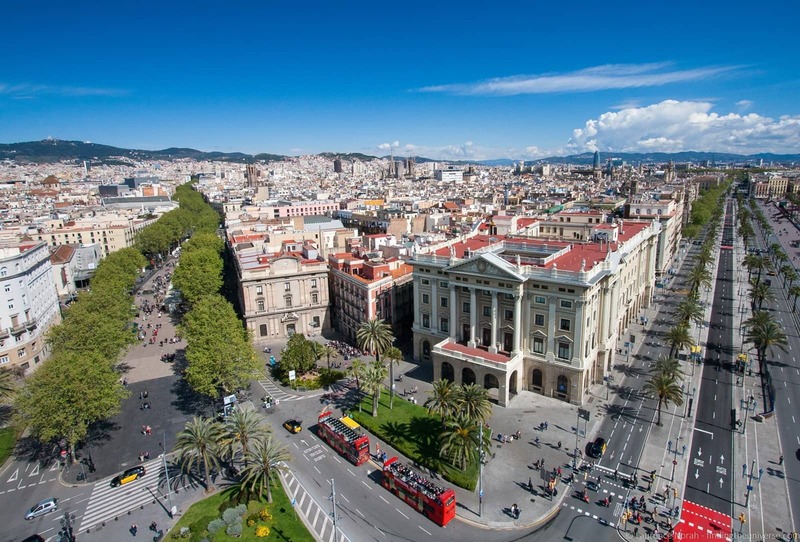 Consider that it also includes the Barcelona Bus Turístic Hop on Hop off bus tour worth €29, plus a number of other attractions as well as a walking tour and bike tour, then we think the Barcelona Pass is excellent value for money and well worth considering for your Barcelona visit. Read Jess’s full review and guide to using the Barcelona Pass to see if it makes sense for you. If you don’t think you’ll visit enough attractions to make the Barcelona Pass worth it, then you might consider the Barcelona Card instead. This is a cheaper option, and whilst it does offer free admission to a number of attractions, the majority of its benefit comes in the form of free public transport (including the airport train) and a range of discounts on popular attractions. Neither card includes free admission to the Sagrada Familia or Parc Guell, which are two of Barcelona’s top attractions. 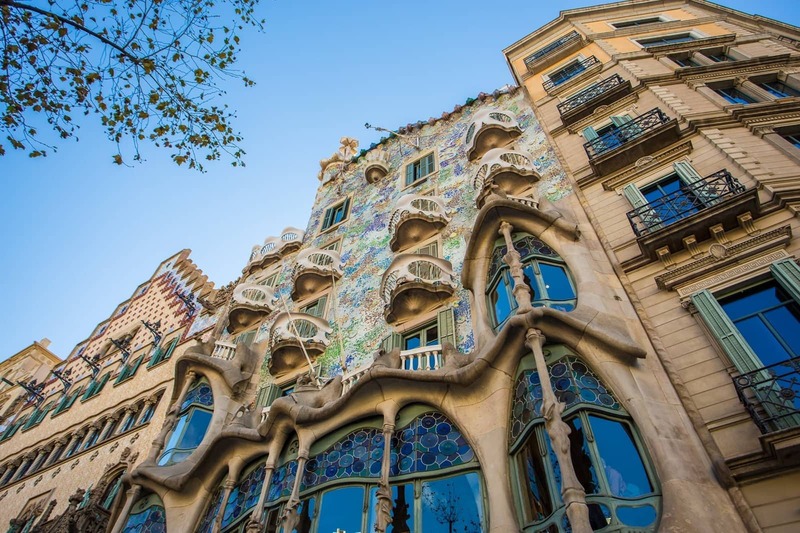 We’d suggest if you get the Barcelona Pass that you consider either a Gaudi Bundle, or, at the very least, purchasing your Park Guell and Sagrada Familia tickets in advance first. Click here for Park Guell tickets, and here for Sagrada Familia tickets. 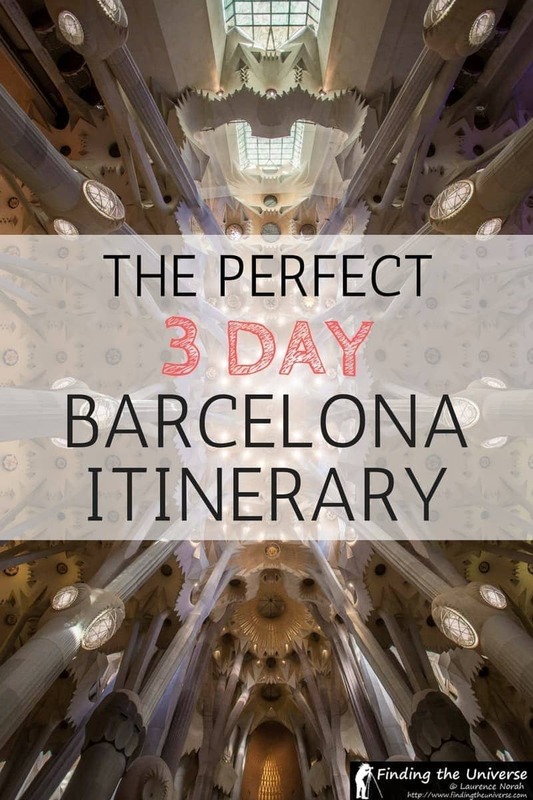 If you just want to focus on the highlights, and then save on the other major attractions as you wish, this is where the Barcelona City Pass comes in. This pass includes both the Sagrada Familia (for entry after 2pm) and Parc Guell, and it lets you pre-book a timeslot for both of these, which is essential to a smooth queue free visit. It also includes the airport bus transfer, hop on hop off bus, and 20% off admission at the majority of the sites in this post. So, which card to go for? Well, in the text above for each attraction I’ve made it clear where each card offers a benefit, so do take a look through and figure out which card might be best for you, and also check out the other features of the Barcelona City Pass, the Barcelona Pass and the Barcelona Card before making a decision, which may include discounted admissions, guide books, and so on. Overall, if you’re planning on seeing everything in this guide, then the Barcelona Pass will likely be the best option. If you are focusing primarily on the highlights, the Barcelona City Pass is a fantastic option. Finally, if you’re just going to a few attractions and are more concerned with sorting out your transport and getting a bit of a discount, check out the Barcelona Card. Barcelona is easy to get around, with an extensive bus, metro and light rail network. It’s also easily walkable for the most part, although you will likely want to take public transport for some of the slightly further out destinations. 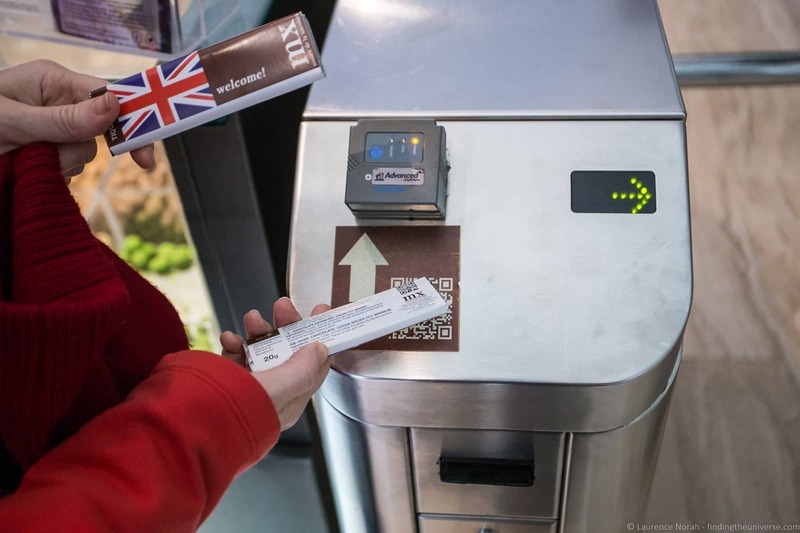 If you are going to use public transport, the most cost effective way to do so is the ten ticket (T10) card, which lets multiple travellers use the same card. This is much cheaper than buying individual tickets and also lets you change transport options within an hour and fifteen minutes of starting your journey. There are a couple of other options for paying for your Barcelona transport, which circle back to the two cards I’ve mentioned in the post. First, if you purchase a Barcelona Card or a Barcelona Card Express, you get free travel on the metro, buses, trams and trains for the duration of the card. This includes the airport metro and train. 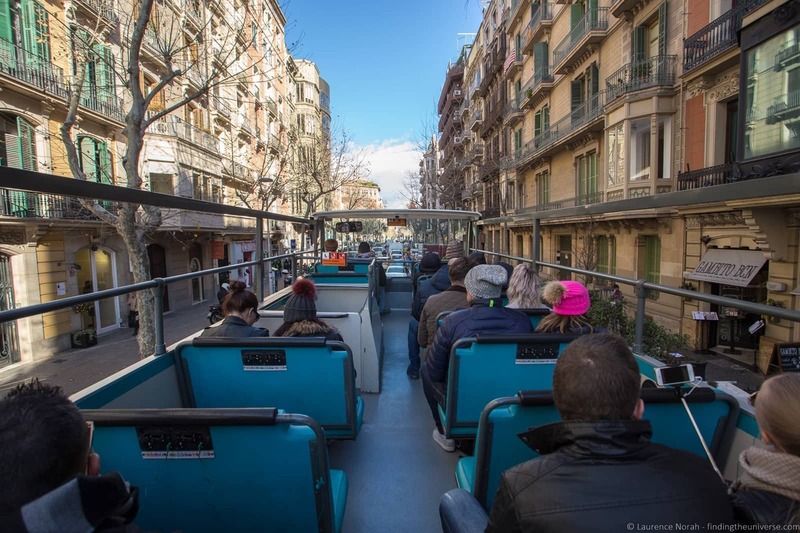 Second, If you purchase a Barcelona Pass or Barcelona City Pass, these both come with one day access to the Hop On Hop Off Barcelona Bus Tour, which covers nearly every major tourist site in the city. 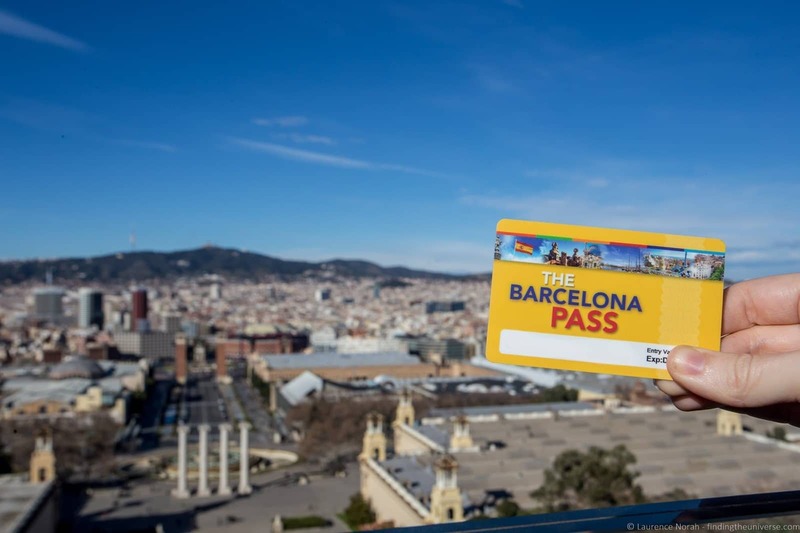 The Barcelona Pass also has the option to add on a Barcelona Travelcard, which covers regional travel on all public transport networks in Barcelona, including the airport. Barcelona has no shortage of choice when it comes to accommodation, and we’ve stayed at a number of different locations in the city in both apartments and hotels. Our preferred option when booking accommodation is booking.com (see their Barcelona listings here). They list everything from hotels to apartments to hostels, and we find they usually have the widest range at the most competitive prices. 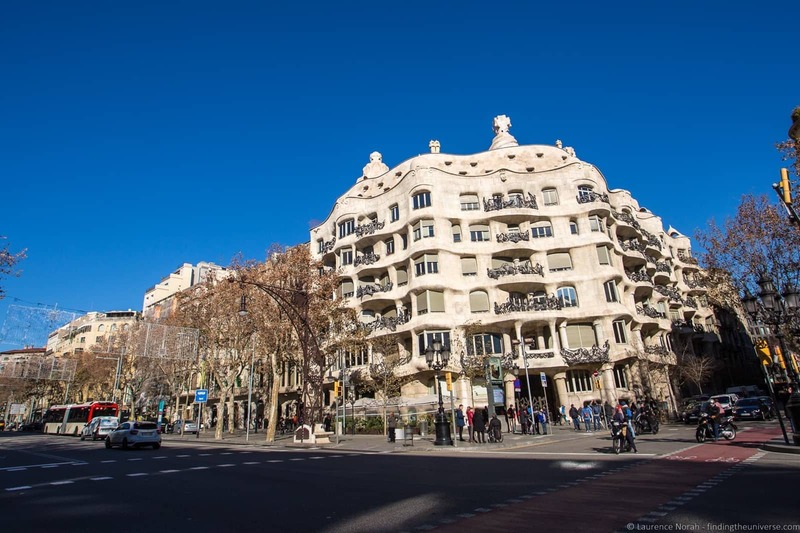 It’s worth bearing in mind that Barcelona is a city which is a little overwhelmed by tourism, and as such, is taking measures to ensure that residents are able to afford to live in the city. In particular, there has been a crackdown on city centre AirBnB accommodation, as well as a restriction on new hotel builds in the city centre. Short term rental properties, such as those found on sites like AirBnB, need to be registered with the city, and will have been issued a license number. If you want to stay in a vacation rental, then we recommend picking one which has the license number on the listing to be sure you are not bothered whilst you stay. Unfortunately, this will really limit your options on apartments, as most of the listings with a license are outside of the gothic quarter and immediate surrounds. Of course, AirBnB isn’t the only option! Barcelona has many great hotels to choose from across a wide range of prices (see a full listing of Barcelona hotels here), plus there are numerous alternatives to AirBnB – we’ve listed some of our favourite websites like AirBnB here. Safety: We’ve not had any problems in Barcelona, although the city carries a reputation for petty crime, in particular pick pockets. These are known to frequent tourist areas, especially Las Ramblas and the metro system. We believe that most crime is opportunistic in nature, so if you take basic precautions and are aware of some common Barcelona scams, you should be fine. Power: Electricity is of the 220v standard, with the 2 pin European style plug. Travellers from countries like the UK and the US will need an adapter, and US travellers need to check their equipment supports the 220v standard – it will be written clearly on the power adapter. Currency: Barcelona is part of the Eurozone, so the main currency is the Euro. You can get these from ATM’s, banks and currency exchanges, although credit cards are of course widely accepted. For more options on getting online when travelling, check out our guide to getting online when travelling to help you figure out the best options. Water: The water in the taps is safe to drink, but tastes heavily chlorinated. If you don’t like the taste, bottled water is widely available. Well, that was a lot of content to help you plan your trip to Barcelona! Hopefully you find it useful. As well as the above, we have a number of other resources we’d like to recommend to help you out, both content we’ve written ourselves, and resources we’ve found online. Between this post and these resources, you should be able to put together the perfect trip! Thinking of heading out of town? Check out our definitive guide to the Spanish Pyrenees, as well as our guides to things to do in Girona, and things to do in Besalu! And that sums up our idea of how to spend the perfect three days exploring Barcelona! We hope you found this itinerary useful. Are you planning a trip to Barcelona? What do you want to see when you do? Let us know in the comments below! So you know: We received free entry as press or through free entry arranged by Barcelona Turisme for some of the sites listed in this article. We covered our own accommodation, meals and Barcelona Pass purchase, as well as all other travel expenses. As always, this article contains only our own honest thoughts and opinions. You can read more in our Ethics Code about how we accept work. Hi there, great article. Any tips for a family of 11 adults and 1 toddler (3yrs old), 1 adult can’t walk for long distances or time..maybe an hour at most. Any suggestions on where to stay for a big group? So my tip would be to take advantage of the Hop on Hop off bus, as that will get you to all the sights in the city and minimise walking time. Alternatively, the Barcelona metro system is also very good and goes to most locations on this itinerary. For accommodation, I’ve not travelled in large group. However, I would suggest looking for a multi-room apartment which will likely be the most cost effective option as otherwise you will have to pay for a lot of individual hotel rooms. For example, this search on booking.com is set up to just show apartments that will take up to 11 adults. You will have to adjust the dates of course, but there are a variety of options, and the prices are very reasonable if you calculate it per person (you should be able to get a central apartment for between $30 and $60 per person per night, depending on when you visit I think). Thank you so very much for such a comprehensive site on what to do, when and how much. I really appreciate all the time you have saved us. 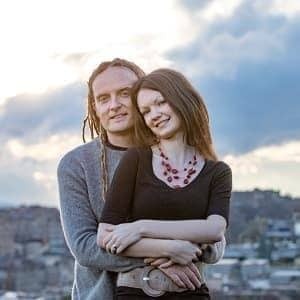 We will be attending a family wedding in London in September and then thought we’d fly to Barcelona for a 3 day visit and we will likely follow your itinerary to the T. Thank you again! Our pleasure Robin – thanks very much for taking the time to let us know you found the content useful. It’s why we write it, and it’s lovely to hear feedback. Have a wonderful trip – we’d love to hear how it went! So this isn’t an option we currently have on the site. We know that most browsers do have a print function, so that would likely be the easiest option for now. Weather in mid May, based on what I can tell from reading it seems dresses and pants and short sleeves for day time with jacket at night—-is that correct based on your experience? Also any recommendation for local place to see Flamenco dancing? That sounds about right – the nights tend to cool down a bit. It might also be quite warm in May (climate is so hard to predict), so you may want shorts or lighter, shorter skirts. Thanks for your Itinerary for major tourist cities and I found it very usefully when I planed my trip to Paris last summer.. I basically followed your itinerary daily, used Paris Pass and had wonderful time. This year I plan to visit London and Barcelona and plan to follow your itinerary of both cities.. Does this Barcelona itinerary comes with a google map like other cities? I’m delighted that you have found our content useful for your trips! You are right, this post is missing a map. I will add one in the next few days – sorry about that! We will arrive Barcelona for a 12 nights cruise trip in end of May and stay behind for 3 days after disembark. Can I ask what sort of pass are suitable for us as we have 6 hours on first day then boarding on the cruise at evening. After 12 nights of the cruise, we will stay behind of 3 days in Barcelona. This is our first time visit and I don’t know what pass and travel card are suitable. I am not quite sure how to work out the 3-day Barcelona Pass plus Travelcard because if we activate on the first day then it seems not worth for a pass. Please advise for any better idea. I hope this helps – let me know if you have any other questions! Thank you so much for your suggestion and it helps us to make the decision. My pleasure Anita – have a great trip! We’ve not visited Lisbon yet, so can’t help there I’m afraid! My pleasure – I hope you have a wonderful trip and do let us know if you have any questions! great site guys, well done, very helpful, we will be using your suggestions. Very comprehensive itinerary! My husband and I will be heading to Barcelona in a couple of weeks, also with a 3 day stay, and I think the plan so far will be to follow your itinerary to the T 🙂 I think we will be purchasing the Barcelona Pass. Just wondering at which point and how did you incorporate the hop on hop off bus that was included in the Barcelona pass into the trip? Have a great trip, and let us know how it goes! Hi do you do any itinerary for other cities in Spain eg Madrid? I want to confirm what sights are free with the Barcelona card, but cannot find the information online. The Barcelona card website lists the Picasso museum, but not some of the others we want to see. 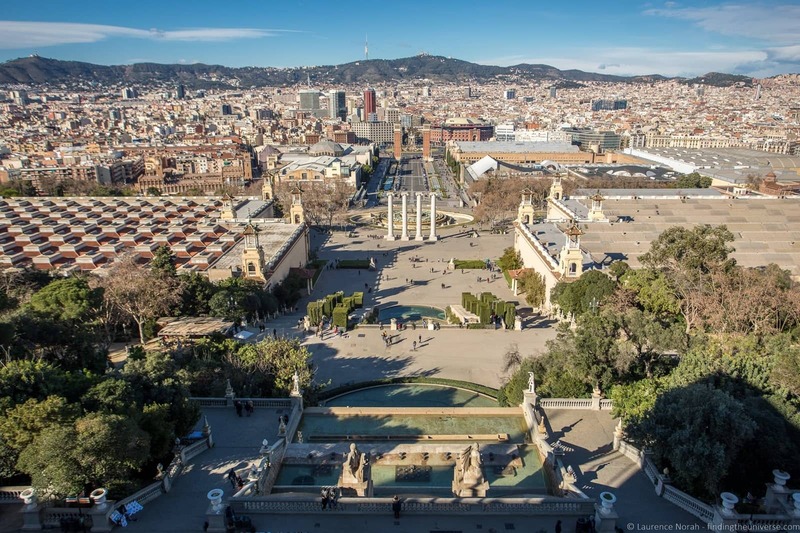 Are you able to reserve times for visits via the Barcelona card rather than each individual sight? 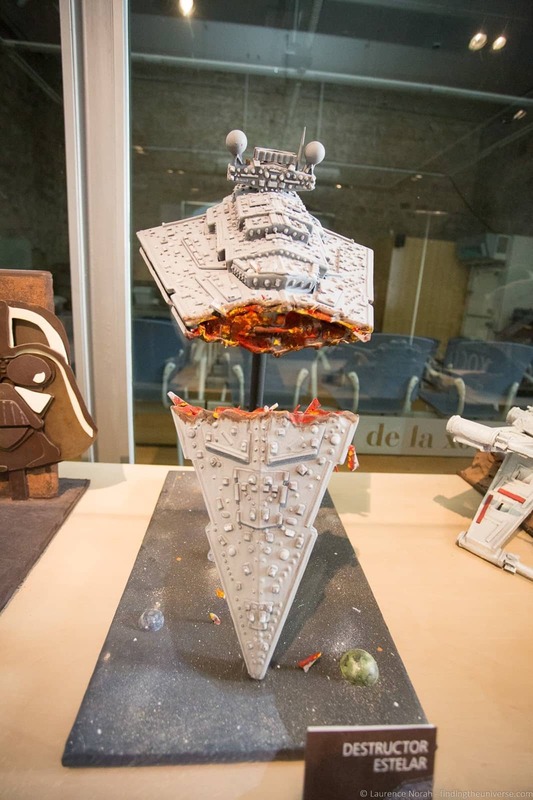 (Namely the Chocolate Museum and the Monument Zone of Park Guell). Also what does ICOM stand for? Unfortunately, there’s no one card that covers everything in Barcelona, so you have to figure out which one suits you best. For the Chocolate Museum you don’t need to reserve in advance. The only sights that require advance reservations to secure a spot are Parc Guell and the Sagrada Familia. You can book tickets for those directly online. The only city card we currently know of that lets you book those tickets in advance is the Barcelona City Pass (https://travelcats.barcelona.ticketbar.eu/en/discount-cards/barcelona-city-pass-/) – we’re in the process of reviewing this and will be adding it to this post soon, but you might find it meets your needs. Once you get that you can book your time slots directly for those two attractions. Hope this helps! I’m not sure what ICOM stands for, where did you see that? This looks very useful …you kept things to the point and clear . We are from Windhoek Namibia and our first time ever to visit Barcelona. We are flying to London and onwards by train to Barcelona,then Paris. The information is very useful and exciting. Any train recommendation? Thank you so much for putting this informative and comprehensive list together. It sure saved us a lot of time and research. We will be going soon and look forward to visiting the many sites you suggested. My husband and daughter are planning a trip to Barcelona in the summer. These tips are indeed very helpful. We can definitely maximize our 3 day plan trip to Barcelona. We also wanted to see Madrid – do you have any prior blog post? If we have a few more days to spare any 3rd best city after the 2? I heard Toledo is great – or neighboring country. We have a total of 12 days. Any feedback will be highly appreciated. Thanks so much! I’m pleased that you found the post useful. I haven’t been to Madrid yet but it’s on my list! I would say that it really depends on where you want to go and what you want to see. If you wanted to stay local to Barcelona, then the town of Girona is really beautiful, and easy to get to by train. There’s also Lisbon in Portugal, which I have not visited but many friends say it is lovely. If you wanted to go further afield, there’s an overnight train service that links Barcelona with Paris too! Sorry – I didn’t see your reply. We will be on our way to our Spain adventure in about 3 weeks. Yes, we did include Lisbon in our itinerary. We were fortunate to see Paris last summer so we wanted to concentrate on Spain and enjoy it without rushing. So far we have Barcelona, Madrid, Toledo and Seville and a side trip to Lisbon. Appreciate all your tips! Thanks so much! My pleasure Mireen, and no worries. Have a great trip! This is a good comprehensive itinerary. If we return we will check out some of the places we didn’t get to but gosh there is so much to do in Barcelona! We could spend quite a bit of time there, especially with all the possible day trips you could do outside the city as well. Here is what we did. We originally had 2 full days there, then our flight got moved so we had three so we thought okay more time in BCN! (It was supposed to be in Marrakech). But then we got pick-pocketed and day three was mostly the police station. 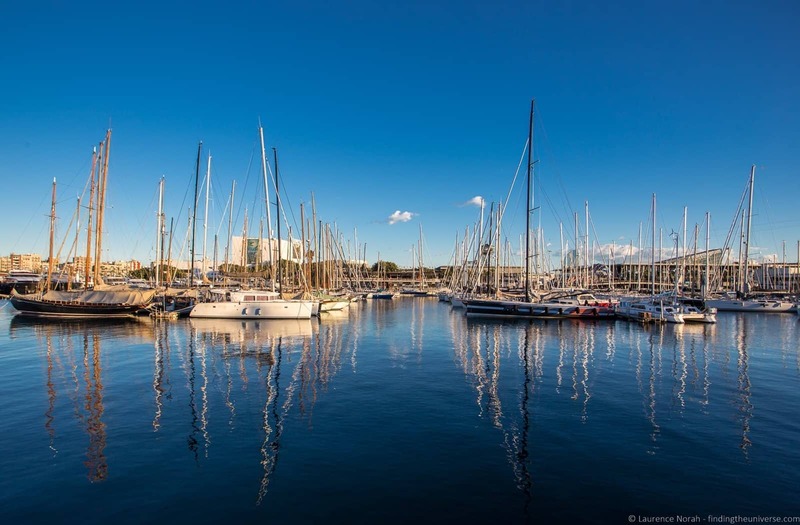 Thanks very much 🙂 There is loads to do in Barcelona you are right – we have visited a number of times and will be returning shortly, and we’re always finding more to do every time! Sorry to hear you got pickpocketed, I’ve heard really bad things about the city in the regard, but we’ve been ok so far. The water is also definitely and acquired taste!